Hello!~ It's been a while since I posted my last Photo Journal. Well I call it diary now. /it sounds cuter. Watya think? If you noticed, I changed my blog layout again. /never gets contented eh?! I turned everything to brown-ish looking effect. Like a touch of vintage-y feel. It looks so much feminine than my old boring pale pink and grey theme. /well for me this looks much nicer and clean. #1: i took this photo a month ago when i was chosen to be a god mother for a very cute and chubby baby boy. I wore a pink coral floral dress which i will also be posting on my fashion tab very soon. so you can see it clear. :) I will try to upload photos from that event soon. /I have sooo many drafts on my blog now. I don't even know what to post first. LOLOLOL. 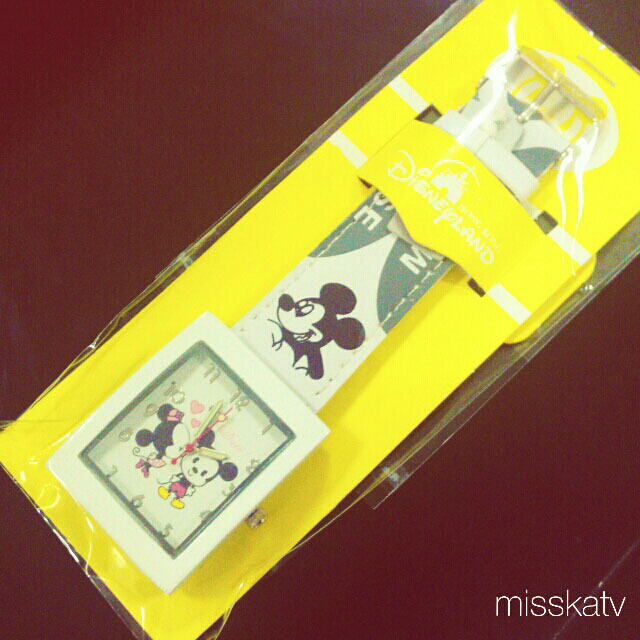 #2: Our team leader went to HK and got me this super cute white mickey mouse watch! I'm wearing this almost everyday on my work. Honestly, I'm not into mickey mouse designs. I just don't like the fact that he's a rat. /haha. But this watch is so versatile and the numbers are huge. Perfect size for my blurry eyes. /hehe. And oh, if you can see on the photo, minnie mouse is kissing mickey. So sweet! Not in their actual sizes coz here, they're in their baby forms! #3: the undying Natasha 1000 for 1000 promo. Believe me, i was the one who attached the stickers of (please pick up after 2pm) one by one. /well, not all. mostl. 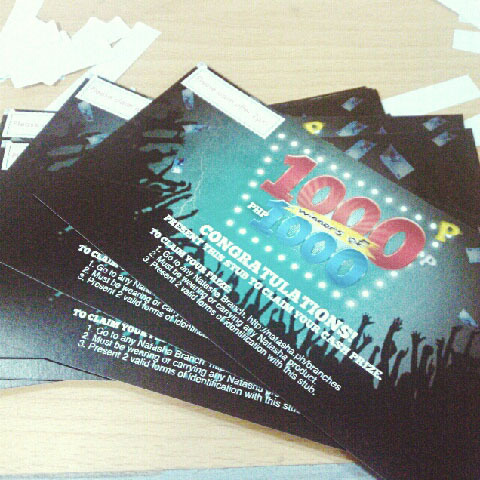 about 80% of 1000pcs hahaha. that's what i do for 2 days. 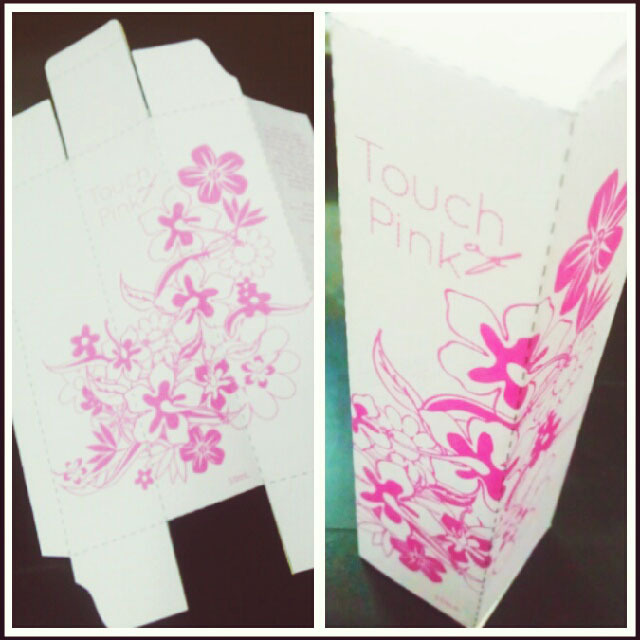 print, cut & stick it one by one no the stubs. /wew. #3: a photo of Fanny Serrano during our makeup training with the representatives of natasha branches. 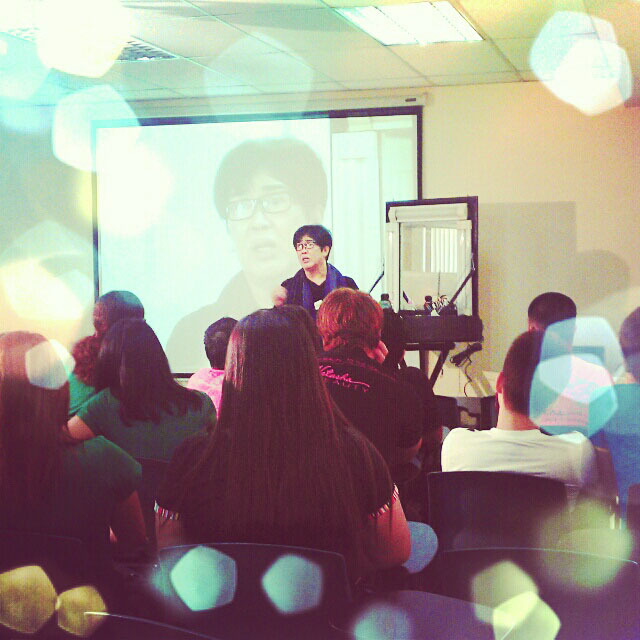 me and ma'am mj are the facilitators for that event. it was hilarious! TF is one of the bests! he asked me, "bakit muka kang anime?!" /yes, with his lapel mic and we all laughed! 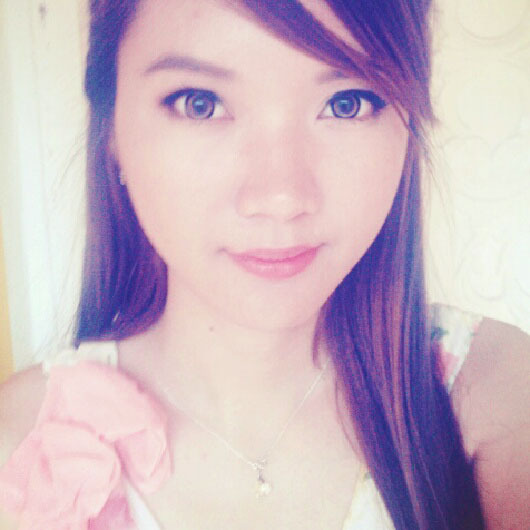 /some even called me alodia. Oh my. I was like, di nga?! LOLOLOL. 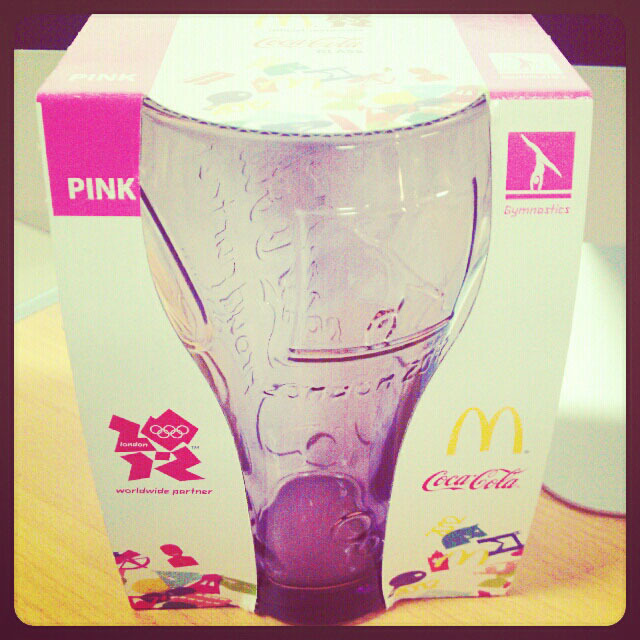 #4: I finally got my first tall glass from mcdo. In PINK! I also have the purple one, but i gave it to my mom. 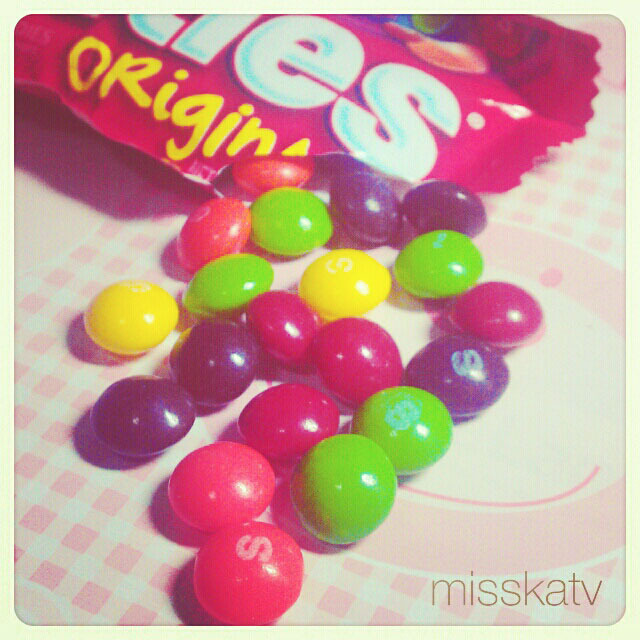 I was planning to collect all the colors but realized that I won't be needing it. i'm using the pink one for candies and placed it on my desktop. #9: my fave silver polish from bobbie. this is the most use polish i have in my collection :) it makes my hands look a lot lighter. Your new layout is really cute. ^^ And your nails are beautiful! Wow, you look super pretty! I love those contacts.